So goes the tongue-and-cheek mantra for Retail perishable departments. But how important is it to get these areas up to snuff? A recent article I read in the Canadian Grocer stated that 80-90% of all ‘healthy’ food is found around the perimeter of a Grocery store. That statistic, coupled with the hype and trend centred on eating healthier, makes for a strong argument to pay vital attention to these departments. Stellar merchandising and especially flawless-day-in-and day-out operational excellence of the ‘Perishable Perimeter’ – is the mark of any excellent retailer. Execution. Execution. Execution. 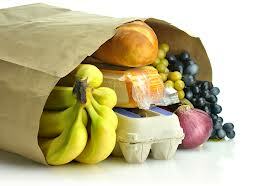 Perishable departments include: Produce, Meat, Seafood, Bakery, Deli and Home Meals Replacement. Arguably, these departments, above all, can single out a retailer (positively or negatively) more than any Grocery aisle. After all-a bottle of ketchup is a bottle of ketchup-at any Retailer. Sorry Heinz. Sure there are some fantastic Grocery merchandising displays but merchandising Fresh Meats and Produce requires constant vigilance. Just ask Wholefoods who champion the merchandising of Produce/Meat/Seafood departments like no other: Fresh, Vibrant, Abundant, Well-Executed, Block-Merchandised, and Differentiated. It’s always a balance, however. The Wholefood’s model is more costly, operationally, to execute day in day out. Labour and skill costs money. Perishable areas are understood to have earned ‘destination department’ status. The ability of a retailer, therefore, to execute ‘the perishable perimeter’ is vitally important to industry and simultaneously creates a perception to customers that its operation is impeccably fresh. It’s Consumer Behaviour 101. In today’s fragile socio-economic temperament :“Are we killing the planet- type think”… where we constantly debate future water and air quality, hormones, or additives and preservatives in food (maybe even horse meat! 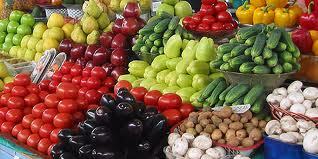 )….consumers want to feel good about what and where they buy healthy food for themselves and their family. The consumer trend…NO….the consumer demand! for healthy and sustainable food is clearly written on the ‘proverbial wall’: challenge the status quo of Merchandising and Operating your perishable department or face the possibility of ‘perishing’.